Im not down with a yellow 20$ pencil case… and Im definitely not down with a 130$ leather folio-esque case. Those last two look gr9. I wonder if they will fit it? They might be a bit larger, however Im thinking for a USB cable and some light accessories, it ought fill up quickly. Speaking of cases, is the official leather case available for purchase anywhere? The price sure is pretty steep, but I’ve got some extra gear money lying around and I don’t know what else I could by for about $130 that would be particularly useful at the moment. I personally have not seen it for sale anywhere, however I don’t think I could justify spending 130$ on it. What I would suggest if you have some extra gear money, would be to hold off and see what modules come about first. I would be interested in the CV / Gate module that’s been pictured as I would like something to make it sync with my Modular. I’d hope that TE would be reasonable with their modules, however if they are charging as much as they are for a sleeve of leather, I am not terribly hopeful. Very good point. I don’t do modular so I don’t really need that function at the moment, I would however love a solution for syncing it with my vocoder which has a standard 6-pin midi input. Since they’re putting a lot of emphasis on the midi capabilities of this device, I guess that could be one of the first modules they’ll be releasing. Other than being utterly surprised that such a thing exists, this is a case for an electric toothbrush. The inside dimensions look a little small, but it might be doable depending on where they measure them. I got my yellow special bundel bag today, i kinda like it ? the original soft case has issues of fit. mine did not fit. I use a decksaver and a hard plastic gun case. decksaver $60 ish. gun case $10. a good combo. Must add, the box it comes in makes a pretty nice case! Cannot justify the kind of expense for the leather case. 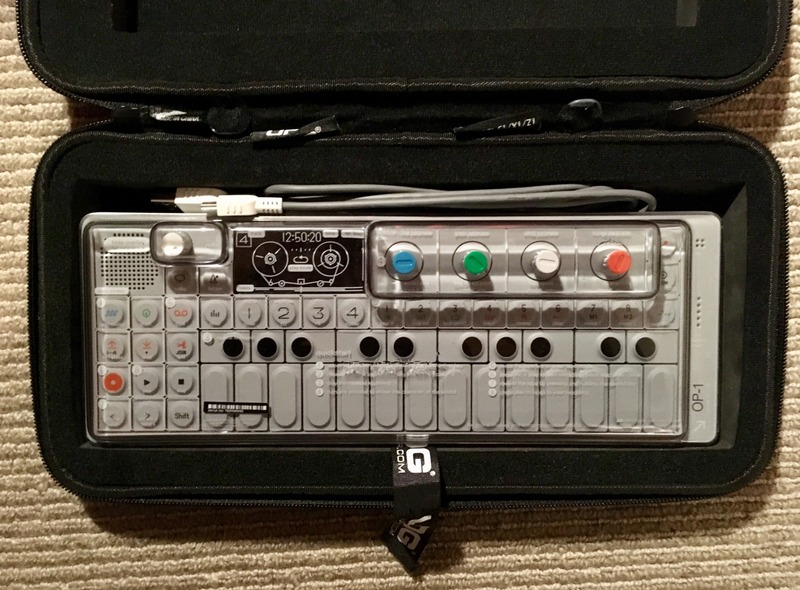 I’m hoping it will fit in the top recess of the UDG Creator NI Case I have the OP-1 in, securing it with velcro or similar. According to the measurements it should, but the map is not the territory, I’ll see when it finally arrives in the antipodes. You might have to route the top edge a bit, but it might be doable! @ArtPunk How are you finding that case? I was thinking about picking one up for the op-1. Is it super bulky? Is it this one…:https://www.udggear.com/udg-creator-ni-kontrol-f1-x1-z1-hardcase-protector-black ? Yep, it is that one @symph0nicb7 -It works fine. Not too bulky, as you can see it isn’t that much bigger than the unit itself except for the depth. I have a thin layer of extra foam below the unit to give a more snug fit, and as you can see I have the decksaver on the unit as well. The arial fits beside the OP-1 (not seen in the photo below, because I didn’t have it when I took that picture) and the connector cable above. 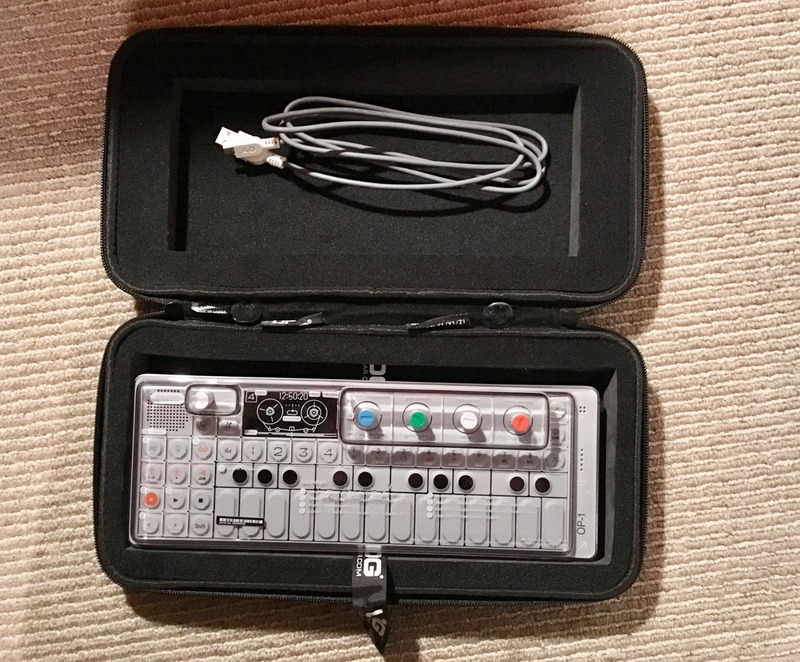 As I’ve said I’m hoping (when/if I ever get one) the OP-Z will fit in the recess in the upper part of the case - held in place with velcro straps or similar The specs match I think… I’ll remove the extra foam below the OP-1 for better fit if it all works.